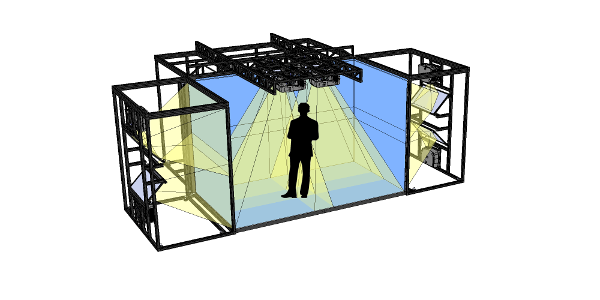 The VisCube™ C4-T4 is an high resolution CAVE immersive virtual reality system. 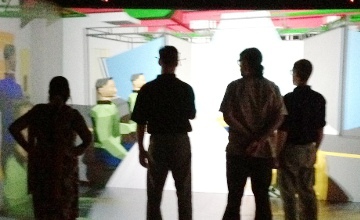 It features rear-projection walls and a front projected floor. 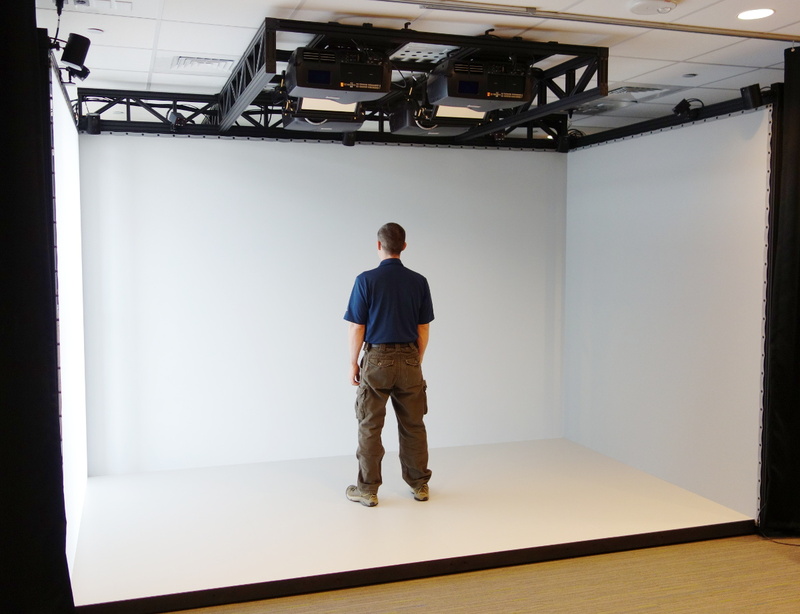 The 12′ wide front wall and floor allow more viewers in the space than a standard 10′ wide CAVE configuration . The VisCube C4-T4 is configured as a turn-key immersive virtual reality system, complete with a tracking system and graphics workstation. See datasheet below. 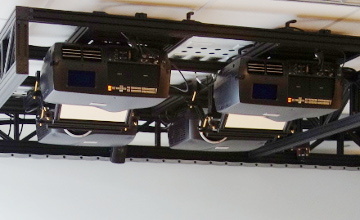 The VisCube C4-T4 can be installed in existing spaces. The system fits within standard office 9′ ceiling heights. This eliminates time-consuming and costly room modifications. 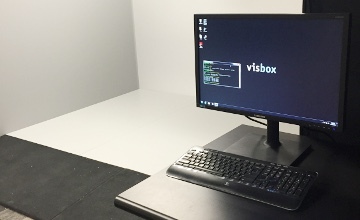 In addition to the standard VisCube models, Visbox Inc. is also available for custom hardware and software development for customers with special needs. Learn more about our capabilities on the Services page. 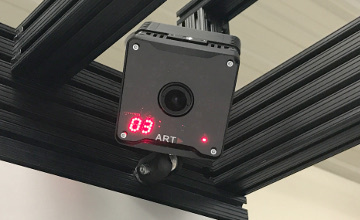 The VisCube C4-T4 is ideal for small group 3D collaboration. No time-consuming and costly room modifications. The VisCube C4-T4 uses active stereo like the VisCube C4 except with almost 4 times the resolution. Multiple screens surround the users for maximum immersion. 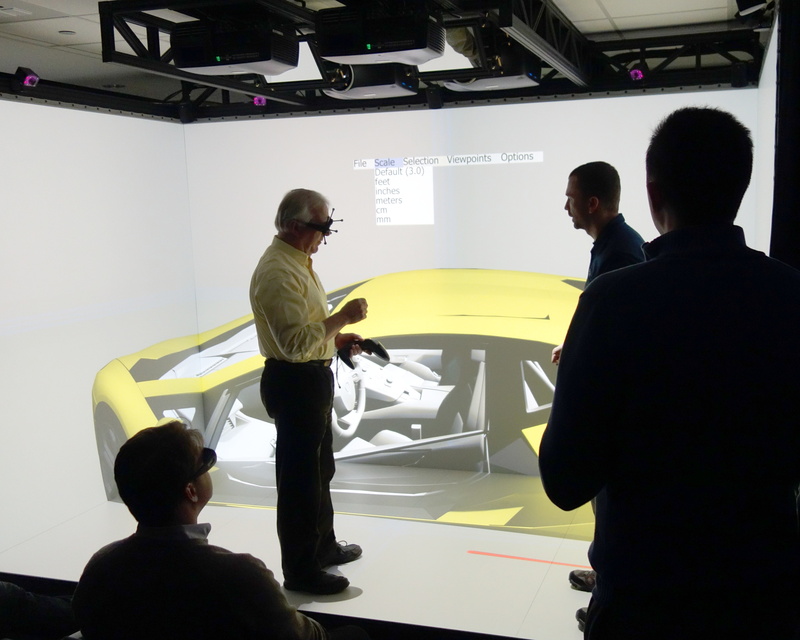 Read more about immersive applications on the VisBox applications page. For custom VisCube configurations, see the Services section.